Are you interested in volunteer opportunities with local nonprofit agencies? Consider being a Red Cross volunteer to help your neighbors in need after a natural disaster, be a mentor to youth at Project 360 Youth Services, organize a food drive for L-LIFE Food Pantry, ring the bell for Salvation Army, or sort books for the Friends of the Library book sale! The opportunities are endless! 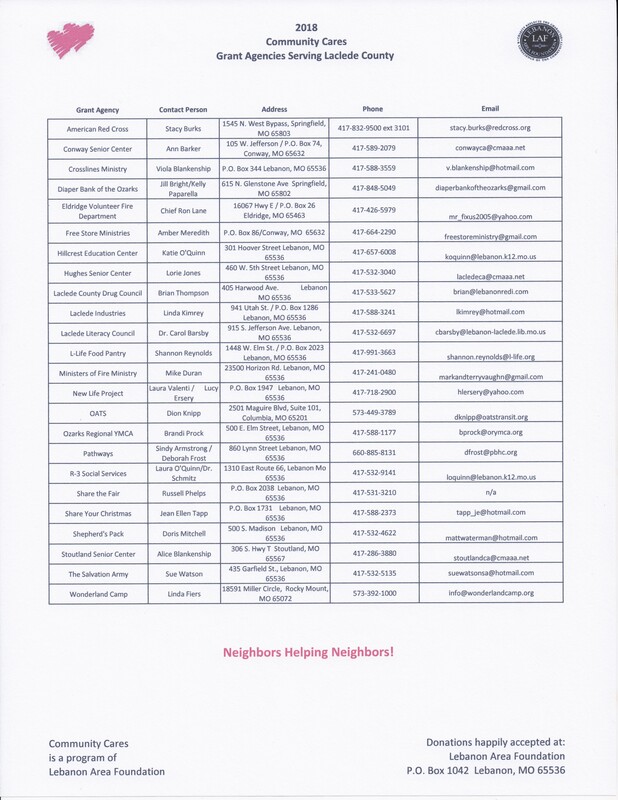 Find out how you can make a difference in our community by contacting any of the wonderful organizations below!